Shanice Marcelle (Victoria, BC) and Dresdner are well on their way to defending their Bundesliga title, but first, they have to get through VC Wiesbaden in the semi-finals. Dresdner picked up a pair of wins against Wiesbaden, and their going to need another two if they're going to make it to the final. Both games down down this week, with the second on Saturday. 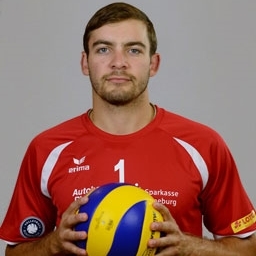 Erik Mattson's (Toronto, On) Lüneburg have been the surprise of the Bundesliga this season. After moving up from the Bundesliga North last season, SVG surprised everyone by finishing fourth in the regular season. Not only were they named Bundesliga Team of the Year for 2014, but they also managed to win their first playoff series, a 2-1 win over Buhl in the quarterfinals. The task gets significantly more difficult now however, with the perennial powerhouse Friedrichshafen standing in their way. Can the fairy-tale continue for Mattson and teammates?